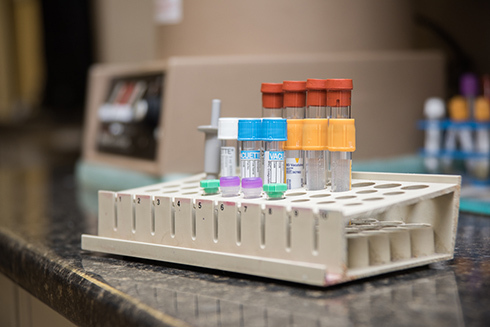 We are equipped with an in-house laboratory and have the ability to perform complete analysis of blood samples from all species via our comprehensive blood analyzers. We are also specially trained and equipped to perform bacterial cultures on milk samples to ensure effective and safe treatment of mastitis. Our partnership with the Animal Health Laboratory allows us to offer comprehensive diagnostic testing.